Senior housing may have been the highlight of Welltower Inc.’s (NYSE: HCN) latest quarterly performance, but the company is still trying to offset lower occupancy with higher rates. The Toledo, Ohio-based health care real estate investment trust (REIT) enjoyed a “really solid quarter” with “very strong performance across the board,” analysts noted during the company’s second-quarter 2017 earnings call on Friday. Welltower’s senior housing operating portfolio helped contribute to this sentiment. 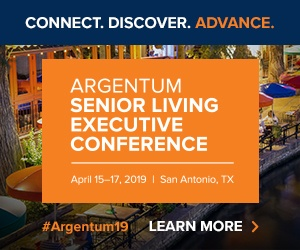 “Our seniors housing operating portfolio is the highlight of this quarter,” Executive Vice President – Business Development Mercedes Kerr said during the call. The company did, however, deal with lower-than-expected occupancies portfolio-wide, despite strong growth in its core markets. Welltower’s second-quarter 2017 earnings per share of $1.06 beat analysts’ expectations by 1 cent. The company’s second-quarter 2018 revenue of $1.06 billion, meanwhile, missed analysts’ expectations by approximately $10 million. The company expects occupancy will indeed improve as the year progresses, in line with usual seasonal occupancy trends. In the meantime, Welltower remains focused on maximizing its revenue, not maximizing its occupancy, Senior Vice President – Finance & Investments Shankh Mitra said on the call. “So, we will see as you sort of think about the revenue maximization, we’ll see what market gives us, but we’re constantly playing occupancy versus rate game and we will see what market gives us,” Mitra explained. Welltower credits its senior housing operating partners in keeping the business competitive. Growth overall was driven by the REIT’s core markets: Northern California, Southern California, Seattle, Toronto and London, Mitra noted. These markets are definitely doing better than others, though. “New England continues to be challenging, though it is improving,” Mitra said. At the same time, some property types are performing better than others in the face of new competition. “As long-term owners of Class A real estate, we have observed [the] greatest stickiness of demand in AL versus IL, when new competition opens around a given asset,” Mitra said. The concept of “wellness” is now at the forefront of Welltower’s plans, executives noted during the earnings call. Things have already begun to take shape in California. “What we are doing is, in a sense, creating a wellness district through the real estate that we are own here in Beverly Hills,” CEO Thomas DeRosa said. Welltower sees opportunity in the area’s closed retail storefronts, which DeRosa believes can be transformed into Welltower-branded next-generation pharmacies, walk-in surgery centers and more. Plus, the only institutionalized wellness model that currently exists is in the senior housing industry, DeRosa added. Because Welltower is so active in that space already, it has a good idea as to how to deliver those services to other groups. The opportunity to become a great wellness player is large—and Welltower feels poised to capitalize on it. As of market close on Friday, Welltower’s share price had risen 28 cents to $73.07.